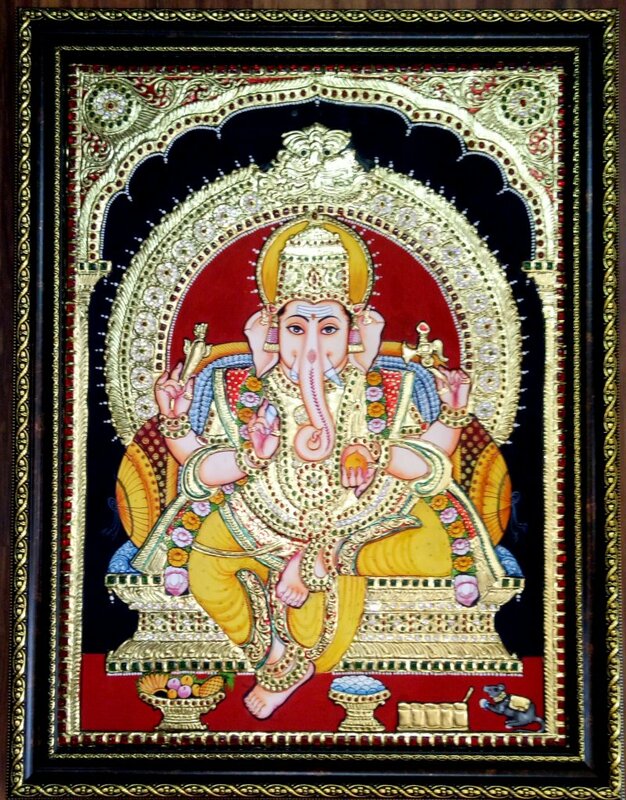 Ganesha — the elephant deity, God of wisdom and good luck, is also highly revered as the Remover of Obstacles. 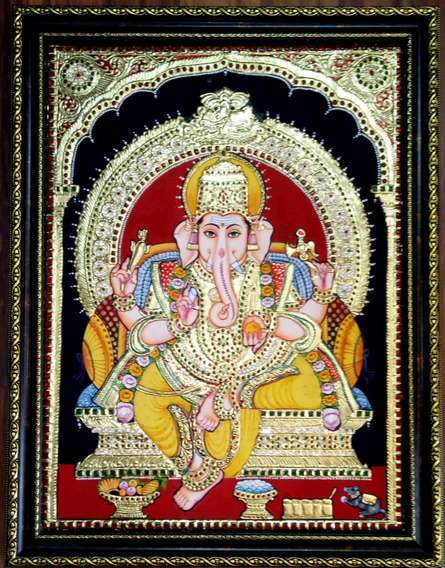 The name Ganesha is a Sanskrit word, derived from ‘Gana’, meaning horde and &amp;#039;isha&amp;#039; meaning ruler/lord. 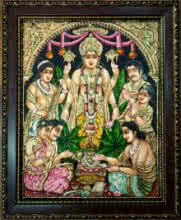 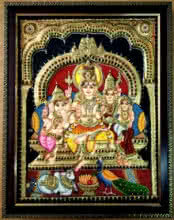 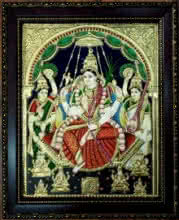 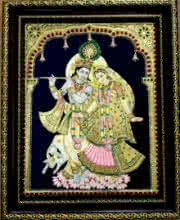 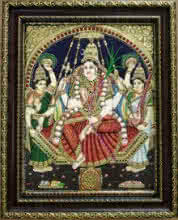 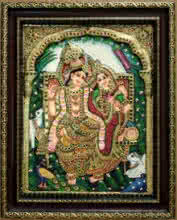 This Tanjore painting is created using the original ancient method and are handmade.